Watch Mahesh Raghvan perform on the Seaboard and Lightpad Block with sounds from 'Colours Of India.' The nadaswaram (pictured) is just one expressive instrument included. The Bansuri Flute, one of the instruments featured in 'Colours Of India' soundpack. Parts of India’s immense, exquisite, and varied musical tradition are now available in the NOISE app and Equator. Colours Of India is a groundbreaking soundpack that for the first time introduces high-resolution samples of the nadaswaram, mridangam, bansuri flute, tabla drums, and other instruments from all regions of the subcontinent. Sponsored by Oscar-winning composer A.R. Rahman, the soundpack is the result of a meticulous sampling project led by students at the KM Music Conservatory in Chennai working with ROLI sound designers. 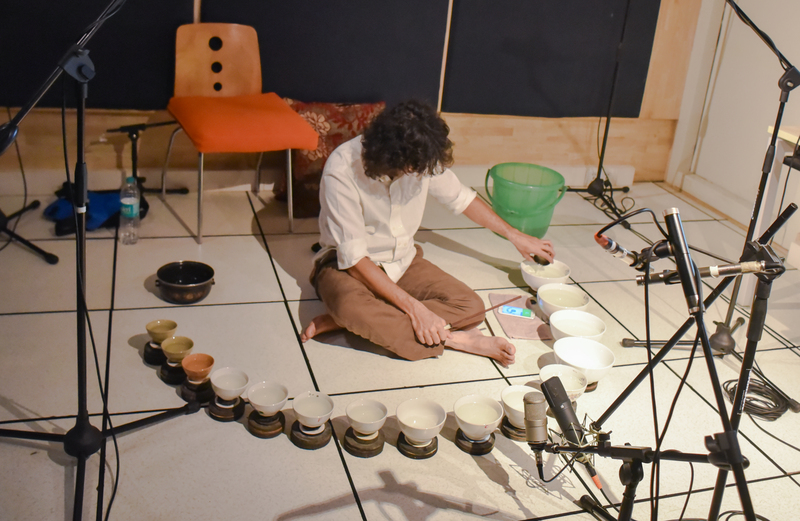 Thousand-year-old instruments like the jaltarang — an array of water-filled bowls — are captured in all of their rich, nuanced expression through 5D Touch. Colours Of India opens a new path for Indian instrumental sounds to enter the world of electronic music. The thousand year old Jaltarang, formed of tuned, percussive bowls, is also included. Including 10 instruments, the soundpack is now available in NOISE for $6.99 (£6.99). Four instrumental presets — veena, jaltarang, bansuri flute, and nadaswaram — are also now included in in Equator. To start playing with them visit your MyROLI account, and you’ll find the preset installer in the Equator product page. The Seaboard Block is one of the best controllers for playing the sounds in Colours Of India, as this performance from carnatic musician Mahesh Raghvan shows. And BLOCKS are now available at retailers across India to coincide with this release. Check out our dealer locator and try out a Seaboard Block or Lightpad Block in New Delhi, Mumbai, Chennai, Bangalore, and other cities. Colours Of India was made possible by the sound design talents of Rafael Szaban and Mike Bugh. Read our interview with Rafael here.